Watch the Final 22 Jump Street Red Band Trailer! 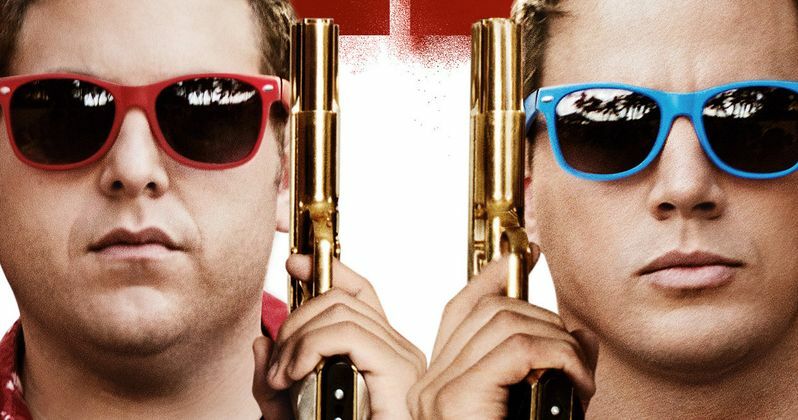 The boys from 22 Jump Street are finally back, and they're going on spring break in the new red band trailer for this comedy sequel, released just hours after the first clip debuted earlier today. Schmidt (Jonah Hill) and Jenko (Channing Tatum) infiltrate a local college on their next assignment, where they follow the drugs all the way down to Mexico. 21 Jump Street stars Ice Cube, Dave Franco and Rob Riggle reprise their roles from the 2012 blockbuster, along with new cast members such as Peter Stormare and Wyatt Russell. Take a look at this age-restricted footage, which features plenty of R-rated language, before this sequel hits theaters June 13.